Just how many lives need to be senselessly lost before we as human beings start treating each other better? How many families are we willing to destroy in the name of “morality”? What is “moral” about beating a person to death because of something he has absolutely no control over? Which are these African values that we so earnestly yearn to preserve that justify the level of violence that is faced by gay and lesbian people in this continent? Are we not all African regardless of the differences that we all have? Are we not a part of this incredibly diverse society? What gives you the right to take my life or deprive me of employment or evict me from my dwelling place just because I love differently? We will now never know what Akinnifesi Olumide Olubunmi would have brought to this world. His life was taken by people who felt that he didn’t deserve to live a full life because he was gay. His life was taken in the cruellest of ways. I keep wondering what must have gone through his mind in his last moments. Was he grateful to have been taken out of a world where fellow human beings hate him and others like himself so? Was he forgiving of his attackers? Did he regret that he chose to live his life authentically? Did he curse his maker for having feelings he couldn’t control that caused him the pain he must have gone through? I’d like to think that in his last moments, in all the pain he must have been going through, in all the psychological torture he must have been going through, I’d like to think that he forgave his attackers. That he prayed that what happened to him does not happen to any other person. I’d also like to ask those who are saying that he deserved to die to think about his last moments. To think about the fact that this person could have been your brother, your father, your uncle or your best friend. Just think about what would be going through that person’s mind. We are all human beings. We are all different. It is that difference that makes this world a beautiful place. Let’s embrace it. Let’s not hate others simply for loving differently. No good ever comes of hate and violence. Love always wins. Rest in Peace Akinnifesi Olumide Olubunmi. You are in a better place. All my life, I have had a love/hate relationship with religion. On the one hand, it presents human beings with a sense of hope. Hope that there is more to their lives than what they see, feel and experience. On the other hand, interpretations of some of its teachings (and this is true for most if not all religious doctrines) condemn people for being who they are, advocate for violence against non-believers and preaches hate for some members of society. The key word there is “interpretations”. Religious teachings could be interpreted in so many ways which is why we also have religious factions that do not condemn people for being who they are, do not advocate for violence against non-believers and do not preach hate for some members of society. This is the reason for my love/hate relationship with religion. Earlier today, I read an article that brought tears to my eye. 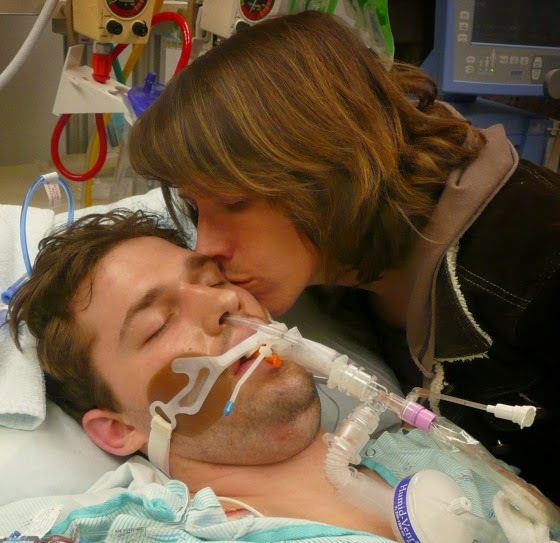 A story about parents tragically learning to truly love their son. Their gay son who came out to them and due to their religious beliefs, they wouldn’t show him the love that parents should show their children. They inadvertently made their gay son hate his sexuality and himself by asking him to choose between Jesus and being gay. Their gay son who ended up dead from drug use. A habit most likely born of the self-loathing that we gay men and women are subject to when society treats us like we ought not to exist. Treats us like we should not be a part of it. Denies us basic human rights. Attacks and vilifies us for no other reason other than that we express love in a way that is different from what society perceives as “normal”. You can read the story here. When I read this story, as much as I had tears in my eyes, I had such mixed reactions. I wanted to be angry at the parents. As a matter of fact, I was incredibly angry at the parents. I am not a parent but I do know a thing or two about parenthood. You bring a child into this world, you are expected to show them unconditional love. You are expected to always guide your child in the “right” way. I recognize just how relative “right” is. A parent is not expected to abandon their child at any cost. I say this with a heavy heart being a victim of abandonment by my father but that’s a story for another day. Yes. I was incredibly angry at the parents. I do not understand how a mother would choose religion over her own flesh and blood. One reader commented and said that what they couldn’t wrap their head around is how the parent could chose something intangible over their own flesh and blood. That there is absolutely nothing that should be more important than your child. This reader said that they will never understand how anyone can rationalize diminishing their child because of something they have no proof of. But this is the crux of the matter, isn’t it? It is at the very heart of every human being’s belief in a supreme being or the lack of one. The question of faith or the lack of it. The question of the existence of a universal morality. The question of who defines what “normal” is. The question of love and hate and the many interpretations of religious doctrines. The question of life itself. I would have been one of those readers who instantly reacted in anger and wrote something like “Anyone who would choose religion before family deserves no sympathy”. But I didn’t. I thought about it. The one thing that came to mind over and over again was that no one, no matter how ignorant and misinformed they are, deserves to lose a child. Losing a child is one of the most painful experiences in a parent’s life. Even though said loss may be of their doing, the parents still don’t deserve to lose a child. These particular parents saw the error of their ways. They learn to love their son. They live, every passing day with the knowledge that what they did caused their son’s death and from what I have read, from the heart breaking letterfrom the father to his dead son to the even more heart breaking responseto the people to hate them for what they did, these parents are torn. They are hurting. They are suffering the consequences of their actions. They are using their story to inform other parents out there, many of whom are making their gay sons and daughters hate their sexuality and themselves because of religion, learn that love is what these children need. I am angry at these parents. But aren’t we all human? Don’t we all make mistakes? Some of the mistakes we make have dire consequences. What will happen to us if we don’t learn from our mistakes? If our mistakes are not used as lessons for others in similar circumstances? I do not believe in organized religion. There. I said it. However, that does not mean that I hate anyone that does. It does not mean that those who believe are inferior. As a matter of fact, the belief that others have in God makes me respect them more. The Bible in Hebrews 11:1 defines faith as the assurance of things hoped for, the conviction of things not seen.I may not relate to that but I respect those who do. This world is a mix of differences. There are gay and straight people. There are believers and non-believers. There are black, white and many other races. This world is diverse in so many ways. The moment we all learn to accept the diversity, to respect the differences we have and live with and to spread love and not hate for our fellow human being, that is the moment when harmony in this society will prevail.